pastoral life Part 1: Is life essential for carbon and water? - Weight loss,pimple treatment,Biography pastoral life Part 1: Is life essential for carbon and water? | Weight loss,pimple treatment,Biography ​ pastoral life Part 1: Is life essential for carbon and water? Home / Science and Technology / pastoral life Part 1: Is life essential for carbon and water? Is there a living life on a planet orbiting these stars that appear like a tiny point of light? Yes, so how will that life be? Is the planetary civilization existence on those planets? Are those civilizations in the likelihood of an equitable earth or the equally intelligent life and technology? If yes, then will we ever be able to contact them? Humans have been searching for aliens for years. Sometimes the help of binoculars is taken for its discovery, and then it is discovered by sending telescopes and ships in space. For many days, radio waves are also being sent from the earth so that if there is a habitation like humans in the space, they will hear them and answer them. But till now the aliens have not responded to any human message. Since the past hundred years have passed, we are spreading the message of our presence in the universe. The world's first biggest event, which was broadcast on a large scale, was the Olympic Games in Berlin in 1936. The radio waves created during this time have so far spent millions of kilometers. The radio waves of the famous serial 'Game of Throne' will be far ahead of our nearest solar system. But, the answer to the aliens still has not come yet. Why the hell? There can be many reasons for this. Maybe, as we are thinking, aliens do not exist in the universe. Or so far away that the radio messages from the earth will not reach them. Or life in any other corner of the universe, it has not grown beyond the status of a germ. Seth Shostak, who has been involved in the search of aliens in space, SETI, which means "Search for Extra Terrestrial Intelligence", says, "We have seen lots of aliens in movies. So one of their special pictures has become in our mind. But it may be that if they get their message, then they should not be as we thought. " To find intelligent life outside the Earth, SETI (Search for Extra-Terrestrial Intelligence) was established in the beginning of the 1960s, aimed at detecting radio signals emitted by these intelligent civilizations. It is certain that supporters of Seti had complete confidence that they would succeed in getting the signals of these wise civilizations someday. For example, the famous astronomer Franck Drake, who helped to establish Seti, had said that at this moment we can confidently say that the radio waves raised by an intelligent civilization are coming to the Earth. Famous astronomer Carl Sagan was also convinced of earth-wide intelligent life. He has written that there must be the emergence of complex life when necessary time and atmosphere is available. The presence of simple microscopic life on Mars or other planets in our own solar system will prove this perception. Carl Sagan had written with Frank Drake that there is no doubt that developed and intelligent civilizations from the earth's civilization are somewhere else in the universe. Seti has been looking for aliens in space since the last fifty years. There is no success so far. Shostak advises that we should think of our future instead of searching elsewhere elsewhere in the universe. According to the showstock, humans are now busy preparing for the mind-boggling machines. In such a situation, if there are aliens in the universe, then they will have gone far ahead of humanity in terms of progress. In such a case, it may also be that some other planetary organisms have developed a developed intellect. It may be that such machines have finally ended their builders. Now as the human has created the first robot from the time it has made a lot of changes. Today one work is being taken from one to the robot. They have gone beyond human beings many times in the matter of intelligence. It can be so, that the robots will go out of the man's control afterward! Former astronaut and writer Stuart Clark says, "If these artificial-minded machines become so fast that they refuse to obey the order of human beings, then it is very possible that in the future, they try to regain their rule. Many such ideas have been made by humans. We have seen examples from films like 'The Terminator' to Bursarkar Books. Some people, however, say that it is almost impossible for humans to think like a machine. Whether it will happen or not - it is difficult to say today. However, Stuart Clark says that with such thinking we bind our own search of aliens into a circle. The alien-looking organization 'Seti' tries to hear aliens' messages in space with the help of some radio telescopes. Especially in those places where space stars have expressed the possibility of a new planet. These planets are expected to have water and air. The difficulty is that the machine aliens do not need water and air to live. Shostak says that these machines can be anywhere in the aliens universe. Yes they will need a large amount of energy. That is why we should peep into the corners of the space where there is a possibility of having a large source of energy. Shostak advises that for this, Seti should send his binoculars to space with spacecraft instead of putting it on the ground. Now the country sending every spacetime will be ready for it, it is hard to say. At the moment, SETI radio will continue to search aliens with the help of telescopes. Yes, these options can be searched later on. Secondly, it may be that radio messages are sent from the earth to a particular planet or to a particular corner of the universe. Although scientists like Stephen Hawking oppose it. They fear that this will increase the risk for Earth because it can also be that our mighty creatures are anywhere in the universe and they do not even know about us till now. But as soon as the radio messages are received they will come looking for us. In such a way, the future of humanity can be in danger. So will we ever find aliens? Shostak and Stuart Clark say that neither can be denied. Nor can it be said for sure that the human will find the aliens. Until then, we have to continue searching. Establishment of Setti has been more than 50 years. What are its results? There is no indication of the outer life of the earth. This does not mean that there is no presence of life outside of the earth, but it certainly puts a question mark on our understanding of a wise life. On the basis of the search of Seti, we can assume that in our 50 light years, there is no existence of civilized civilization like us or like us. According to Ashak Shukra, we can increase this conclusion by adding up to 4000 light years, that the technically developed civilization like us does not exist at this distance, and the existence of a civilized civilization until class 1 on the Kardashev scale is not up to 40,000 light years. There is no evidence of a parasite life coming to earth. There is no universal proof of any elite civilization coming to the earth, despite the news of the flight of Udteshwar, or the UFO. The other solar system is different from us. When Sethi started the work in the 60's, it was believed that most stars would be planets and all the solar systems would be similar to our solar system. If this is so, there will be abundance of life-like planets like Earth. By 2017 we have discovered more than 3,000 solar-based planets, apart from this there is evidence of the possibility of many planets. These figures are helping us to get an initial conclusion. The technique to find our solar outer planes is not very developed and these inspections have not been done for a long time. Despite this, we have found that other solar systems are completely different from our solar system in which there is less chance of life. For example, the gravitational planets of Jupiter have been found circling near their maternal stars or orbiting in a very circular orbit. In these two states, the chances of life on the rocky planets like Earth, Venus, or Mars are negligible. An increase in the conditions required to be a lifelong planet. Initially the scientists of Seti had placed some necessary conditions for the possibility of life on a planet. But now astronomers believe that there are thousands of necessary conditions for a wise and developed life on a planet. This list of terms is expanding with modern discoveries. All of this astronomers have begun to believe that a planet like Earth is rare and complex life is rare in the universe. Our failure to find the evidence of the ascetic life and the likelihood of the rare life-worthy planets has doubled the hopes of having a wise life on other planets. So is this the end of the whole story? According to Seti, he is not ready to give up. Despite all these consternation and failures, the scientists believe that the possibilities of intelligent life on other planets are already getting better and they believe that they will soon find its evidence. 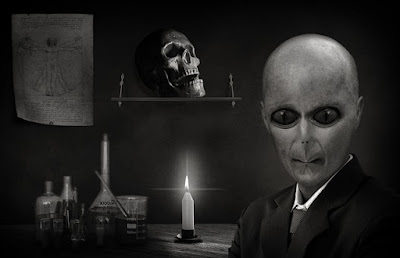 For example, Andrei Finkelstein, Director of the Russian Academy of Sciences recently said that the alien life is definitely present and it will be discovered in the next two decades. The reason for this optimism of the scientists is that they are now convinced that life can flourish even in the worst conditions and can flutter. 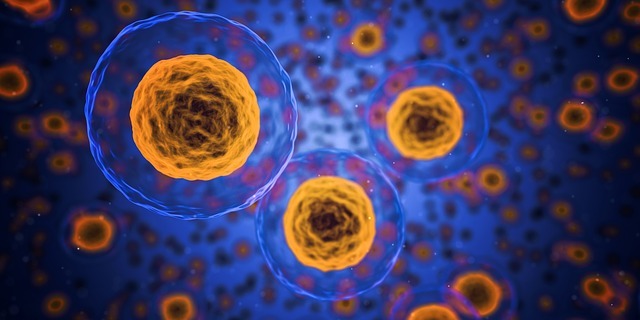 Recently, the discovery of astermophilic organisms has shown that microbial life is also possible in such dire situations, which was considered impossible until some earlier. At the same time, colonies of the zoological zodiac have been found near the hydrothermal pores in the foothills of the ocean. These strange creatures are living in the negligible presence of extreme temperature, severe pressure and sunlight. These photos do not synthesize in the absence of light, but for energy, they use chemicals coming from these volcano pores and form the basis of the local food chain. First class rare life consists of such life that resembles a known life but uses other biological molecules. For example, scientists are studying such microbes that use different types of amino acids to form the base of DNA / RNA or use a different code than known genetic code. Some other research has attempted to introduce some unnatural nuclei acid in the DNA. This rare life range also depends on carbon and uses water as a solvent. The presence of such a life will also require circumstances as usual in normal life. This discovery is important for scientific discoveries, but this does not increase in the expected places of life. In this article we will not discuss this category. The origin of astronomy science is "strange life", a life that is completely different from known life. The biggest challenge facing search in this direction is that we have to think in a different direction from the science known to the world so far in the chemistry necessary for life. In this alternative biochemistry, some of the lifestyles that are not carbon-based and / or use water as solvent, have to be thought of. Non Carbon Life: The biggest attraction behind inorganic life is that this life can also develop in situations which are extremely horrific for a known life. For example, many silicon compounds can withstand too much temperature compared to the compound carbon compounds. In this way, silicon-based life can flourish on such planets, which can not be imagined as a carbon-based conventionally known life. Non Water based life: The universe has abundance of water but the presence of fluid water is rare. This is because there is a need for precise conditions for the presence of proper amount of liquid water on a planet, and there should not be any such deviation in the temperature for long periods of time that it remains in the liquid state. On the other hand, the presence of other fluids in water in the universe can be more than fluid water. In our own solar system, Saturn's moon Titan is the ocean of liquid methane and ethanol, fluid ammonia is present in the Saturn and Jupiter's atmosphere, the fountain of liquid nitrogen on the Moon Triton of Neptune. It is the concept that all these could be the means of liquid water for life. Believing these two together, many new possibilities of life arise. So is this strange life opening new doors for life? The answer is in the future pregnancy. Bizarre life is highly controversial and fantasy based. What barriers do we have to study for the possibility of this strange life? Any alternative concept based life should be possible following the rules of chemistry, the rules of chemistry are universal and they are capable of guiding us on the possibility of this alternative biochemistry. Further in this article we will consider some main audio and we will examine them on the criterion of known chemical rules. We will start with carbon and see if any other element can replace carbon. Do you know how to make money from network marketing! We are a local Disaster Restoration Company that provides emergency services for Residential and Commercial Properties in the Sarasota and Manatee county areas. Key Cities are Bradenton, Sarasota, Palmetto, Venice, Lakewood Ranch, and Osprey. We are Mold, Water, Odor, Cleaning Specialist. Detail Cleaning Company. Click here https://servicemasterrestoress.blogspot.com/2019/02/what-all-homeowners-need-to-know-about.html.